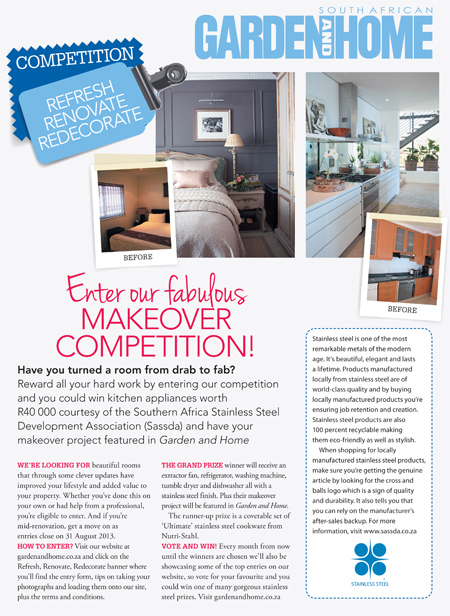 REFRESH RENOVATE REDECORATE Competition that GARDEN AND HOME is running from now until the 31 August. Even more incentive for us to complete the MESSY STUDIO's renovation. 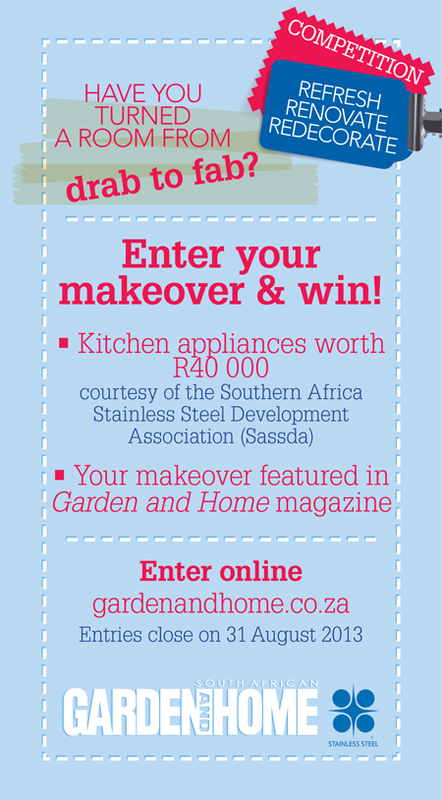 Next on our list is our kitchen and I could definitely do with all the stainless steel kitchen appliances that are up for grabs! Make sure you enter if you have been up to some home do overs, I love seeing the Before and Afters.